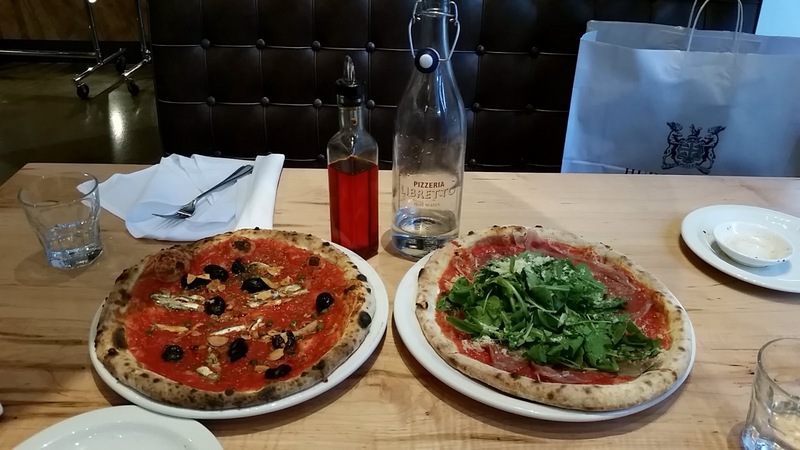 Ontario Prosciutto Pizza, which is the pizza on the right of the photo below. 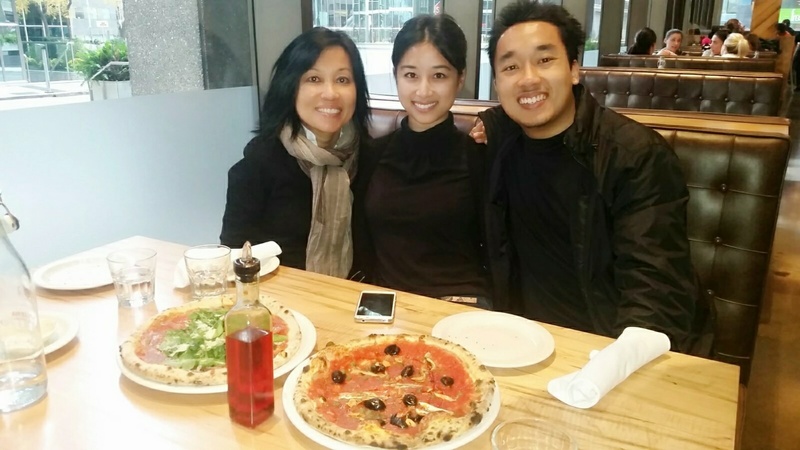 On it, we had tomato, basil, Mozzarella and of course, prosciutto which, when infused together on a lovely pizza, was great for taste and great for the stomach! 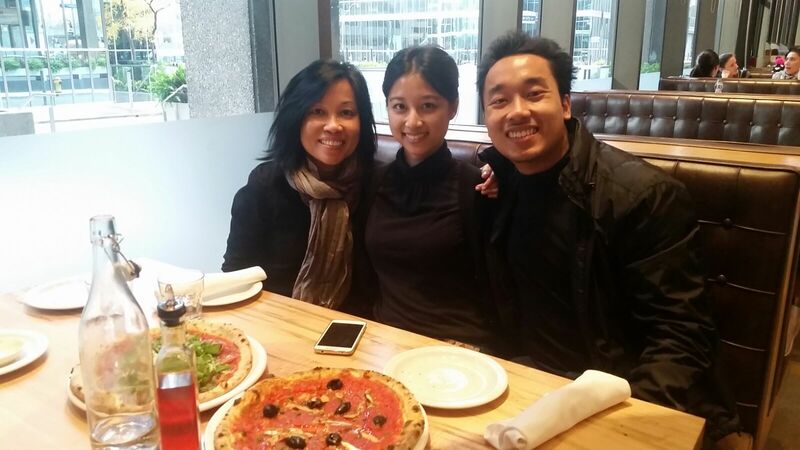 The experience at this pizzeria, which was a good one in comparison to another pizzeria that I have visited before (Famaso Pizzeria on Bloor Street West), allowed us to have some good pizza, filled tummies and good memories with loved ones :).